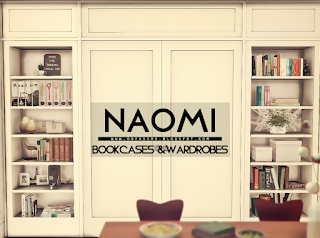 If you are looking for the original Naomi set, the updated version can be downloaded here. 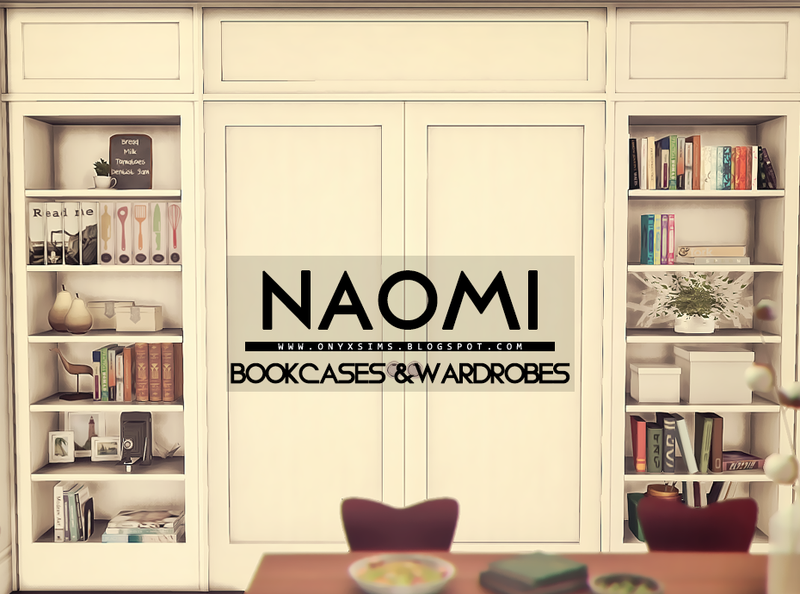 This is version 2.0 of my Naomi Built-In units, completely remade with 2 bookcases and 1 wardrobe piece. There's a left side bookcase and a right side bookcase and all 3 objects come in 12 wood swatches from peacemaker-ic's woodtone set. If you need books to clutter up the shelving, the ones pictured are all conversions by Mio Sims. This set is named Naomi after the actress Naomi Watts because it's based off of her very own dining room pictured here in Architectural Digest.